Upcoming alert! 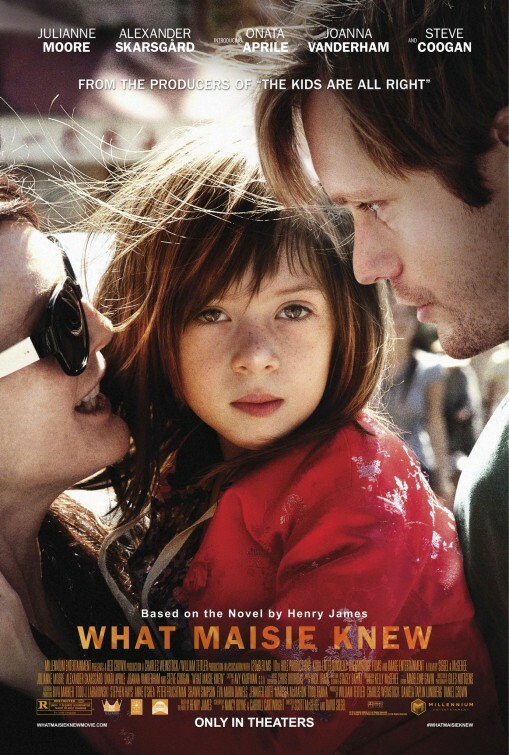 A modernised adaptation of Henry James’ 1897 What Maisie Knew, starring Onata Aprile as Maisie, Julianne Moore and Steve Coogan as her horrible parents and the extreeeeemely beautiful Alexander Skarsgard as her lovely new stepdad. Sounds good to us. It’s already out in the States but should get a UK release in the summer. In the meantime, check out this Guardian review of the film from last year’s Toronto Film Festival.